There are a lot of people who would give a lot to increase their metabolism. Having a high level of metabolism enables one to maintain burn fat and lose weight fast with the least amount of activity. 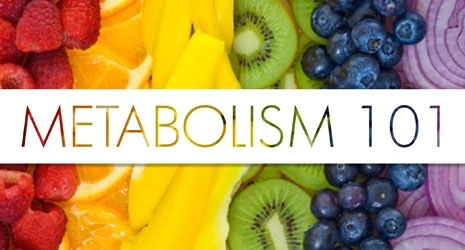 Metabolism is the rate by which the body produces and consumes energy and calories to support life. Increase the amount of repetitions of a particular exercise. 3. Avoid sugar. Sugar enables the body to store fat. It is recommended that a person consumes food that helps sustain an even level of blood-sugar. Additionally, progressive exercise 2-3 times a week should be in order to stabilize blood sugar. 7. Eat smaller meals. It is advisable to consume 4 to 6 small meals that are timed 2 to 3 hours apart. 10. Guzzle up on green tea. It can be used as a substitute for coffee. Tea has the ability to stimulate metabolism, and unlike coffee, it has no undesirable side effects when too much is consumed. Achieving the desired body weight is never impossible if one has the determination and patience needed to stabilize the metabolism level, which plays an important role in weight loss. A person needs to realize that eating right and working out is not just a passing fancy, but a way of life.